With WordPress websites things can get quite confusing. The line between the good and bad is pretty blurred or virtually non-existent. Purists / techies tend to get carried away by the technical geek stuff, designers get caught up into the visual presentation, user-interface and bells and whistles. Where does that leave the site-owner? Honestly, it leaves them confused. When half the world is talking about page load times and the other half talks user-experience and design, it can be difficult to see through the mist and remember your goals with your website. And where does that leave you? Any serious entrepreneur or businessperson wouldn’t be running a free website. Likely you have a custom website setup for your business. But this is where things get interesting—not all custom websites are built to excel. Purists favor themes created from the very scratch, designers favor great designs with bells and whistles making for a great impression and visual presentation. But at the end of the day, regardless of their inclinations, the ultimate purpose of these practices is to deliver you a website that functions for your business — a sales-system that does things for your business. Period. 24×7, without taking an off, your website should be like a workhorse—the best thing in your business arsenal. Get into semantics and some could refer to its purpose as in branding, eBook selling, lead-generation etc. 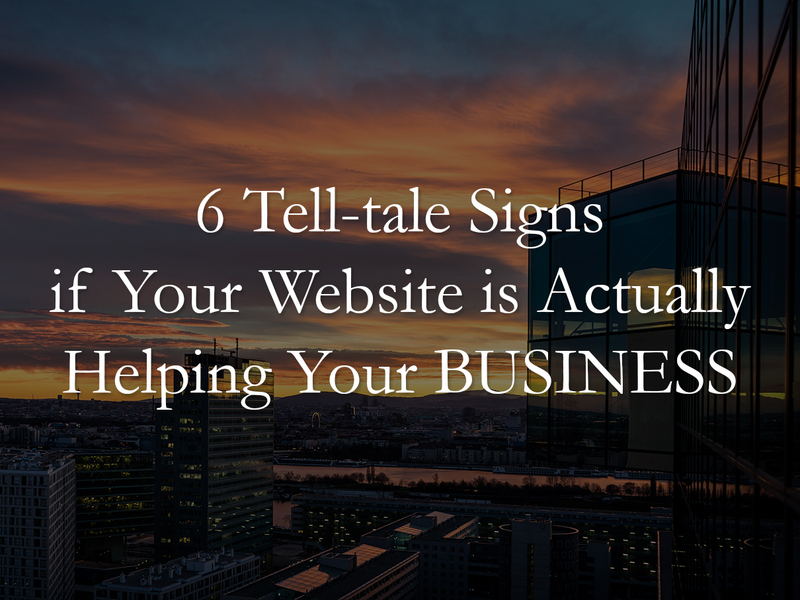 But the fact remains that every website directly or indirectly is helping you achieve your business goals. So What’s In A Website? It’s a world of difference between a website and a professional website that’s tailored for your business. It’s more like a piece of dress that you are trying to fit into and get going because you have to show up in a dress… versus a custom tailored suit that projects you professionally and becomes an extension of your personality. And you know what a world of difference it makes. In the same sense, here are the criteria that a top-of-the-league website is measured upon. Lest we forget… Oh yes, but how does that work? Well it’s important to remember this as the ultimate goal of your website. This is what its effectiveness will ultimately be measured against. Page-load times, great hosting, visual impression is all geared and directed to this end. These don’t matter if the website doesn’t sell—what a waste of resources! These are a means to an end; not an end in themselves. Regardless of whether the customer acquisition channel is direct or link-referral or organic search, a professional website is engineered to rank at the top of the search results for keywords in your niche. A clueless (or even experienced) WordPress developer could well deliver a site built on a premium, state-of-the-art WordPress theme which while being well customized to reflect your brand and live up to the functional requirements still hasn’t been engineered to rank at the top. And remember, we are not discussing free websites here. We are talking websites that are custom developed to your requirements. Why would this happen? This mostly happens because of negligence or unawareness. Most developers who care about delivery would setup Yoast and forget it. Some treat on-page SEO as an afterthought—perhaps because it’s not specifically mentioned in the RFP (request for proposal or technical requirements) or may be because they just can’t afford to be so thorough in (perhaps) a tight budget. A pro would have delivered several hundreds of sites (if not thousands). This means they have a checklist for every site-setup, delivery, go-live etc. lest they miss a thing. They have gotten used to living up to the expectations of clients and they know what is expected. On-page SEO is no less important than any other aspect of a great website. It perhaps could be the only thing that gives you an edge when your competition is trying to match up at every step. Don’t leave it to chance! Never. Fine, your website shows right where you want to see it in the SERPS. But still not getting the traffic you are expecting? That’s where click-through rates come in. Too much SEO oriented title, meta description, URL could hit your click through rates. A site built to perfection keeps the end-user at the top. Is that the title and call to action they are expecting to show up in the SERPS? Or is it just about keyword stuffing and letting go? Search is about more thing than just SEO—it’s about user-intent. And if that’s not what the user intends to see, it won’t work! This is where it goes beyond the visual impression and extends about the usability of the site. Does it load at once? Or does it spare the visitor a chance to click on the next tab where your competitor’s site is already loaded and ready? What all is stuffed above the fold? Did the user find what he was looking for in a snap? There are no compromises here. Making a great first impression means you’ve got another chance at retaining the visitors’ attention. Sadly that’s a fact. Once we are done with the first-impression, the task is to guide your visitor to take action. That’s where it’s a marriage of science and art—typography, layout, composition, accessibility and a keen eye for attention to detail matters the most. How thoughtfully is it done determines the conversion-rates. I cannot describe how busy I was over the last week as my business was “exploding”. That’s pretty cool but I had not enough time for a few things like answering to some mails. Professional websites just toast the non-performers when it comes to conversion rates. But this is not happening if you are trying to cut corners, just need a website or do not have it on the top of your priority list. Bottomline: Professional business websites are extreme performers. They have to live up to the business requirements; and that means keep above and beyond the competition to dominate the market. Investing in a website only makes a difference if your website works for you, not if you have to time and again wonder if it’s working for you, investing time and money every now and then to make it meet your requirements. No. A professional website should be a one time investment but also one which is extensible in the future to grow with the rising demands of the business ecosystem. Your website should be a screamer—it should deliver you awesome conversion rates (the typical/average conversion rate is 10%). It will help your business to and take the workload off you. It’s not about HTML5 or responsive web design or any other buzzword you can think of. It’s about hiring the best developer-designer who has a known track-record of delivering nothing short of top results! Eventually you have invested in a business system—the one meant to skyrocket your business to the next level. If it’s not doing that, it’s time to wake up and fix it rather than put up with the daily frustrations and expenses—they mount up huge and fast. A professional website is a dream come true—you’ve got to experience it first hand, in person and it will do magic to your business returns!